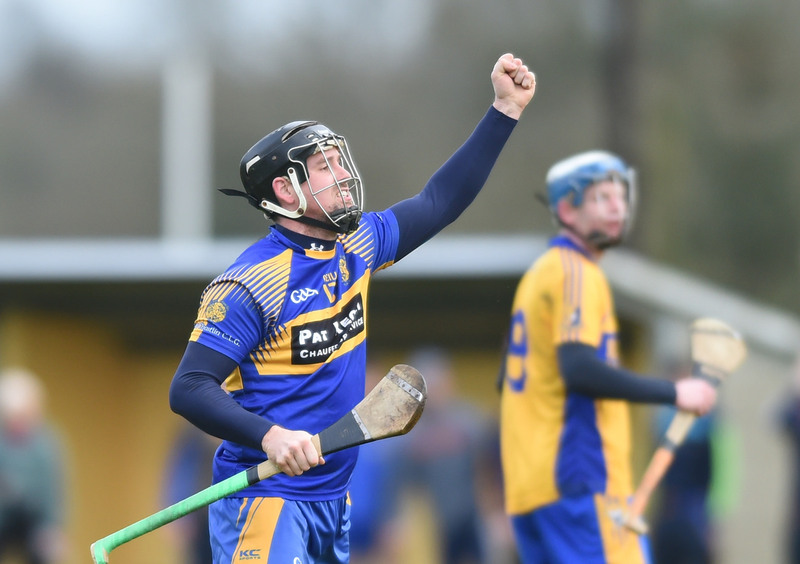 Favourites Clonlara are still in the hunt for the Clare senior hurling title thanks to an injury time point from Clare’s 2013 All-Ireland winning hero, Domhnaill O’Donovan. Back then, O’Donovan, playing at corner back, fired over a last second point to earn Clare a replay with Cork, a tie they won to claim their fourth All-Ireland title. At Cusack Park on Saturday, Clonlara saw a four point lead whittled away in the final five minutes before finding themselves a point in arrears in the third minute of injury time. Enter O’Donovan again and, after winning possession in his own half backline he burst forward and pointed from 60m to earn his side a replay with Kilmaley. Clonlara looked to be on their way to a place in the final when they went four points clear inside the last ten minutes but Kilmaley simply refused to accept defeat and five unanswered points in as many minutes had them ahead in the third of the three scheduled minutes of injury time when O’Donovan struck. On a day when the sides were level on seven occasions, a draw was probably the fairest result. Both sides will point to reasons why they could have won this one on a day when the final twenty minutes were particularly entertaining for the patrons. Coincidentally, the opening game at headquarters also ended in a draw and Wolfe Tones and Smith O’Briens (Killaloe) will have to meet again to determine which of them will go through to play Broadford in the intermediate final. Wolfe Tones led by the minimum margin at half time when the score was 0-10 to 0-9 but Smith O’Briens looked to be o n the road to causing a surprise when they went five points clear at the end of the third quarter. The Shannon men made a number of chances and these helped get them back on level terms with seven minutes to play and from here to the end it was end to end stuff before the final whistle saw the teams locked together for the sixth time in the game. The score at full time was 0-20 each. On Friday evening Broadford booked their place in the intermediate final with a 1-19 to 0-18 win over Sixmilebridge, Craig Chaplin scoring the all important goal early in the second half. 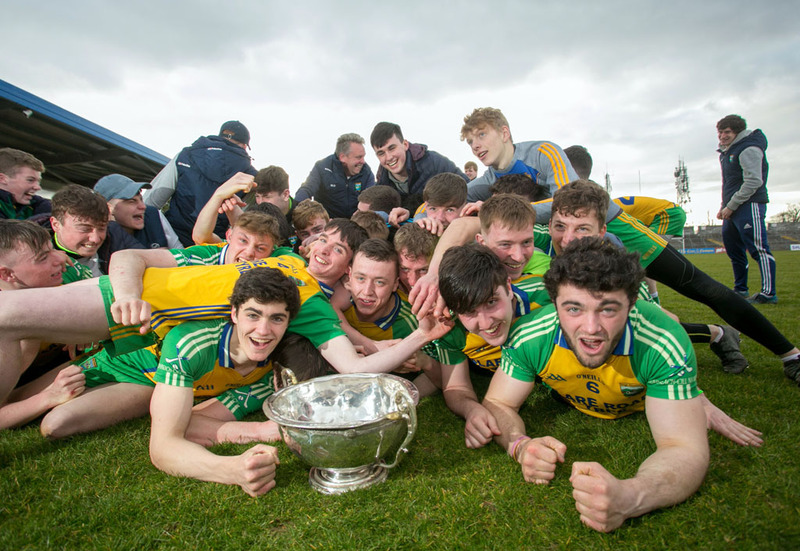 Inagh-Kilnamona are celebrating a first success in the senior B championship after they scored an surprisingly comfortable win over the holders Éire Óg. The final score at Newmarket was 2-17 to 0-10, with the winner’s goals coming from Gerry Coote and Conor Tierney. 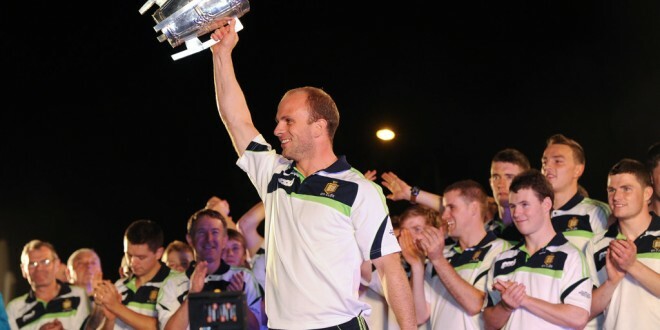 Wolfe Tones were crowned junior C champions when the defeated Sixmilebridge (1-23 to 3-11) at Newmarket. There was some consolation later in the afternoon for the Bridge who progressed to the junior A final with a three point win (1-13 to 1-10) over Ennistymon. Ballyea captured the division 2 league title when they had a 2-20 to 2-17 win over Parteen at Shannon. Meanwhile, Cooraclare captured the minor A football title with a two goal win (2-7 to 0-7) win over the Kildysart-Coolmeen amalgamation at Doonbeg.